The first disco of the spring will last till the wee hours in the morning. DJ Marcin Ludowicz invites to the latest dance hits. The cabaret Pod Banka from Toronto makes another tour in the Pacific NW, stopping in Tacoma & Portland. Their previous production at the Polish Home in Seattle in March, 2004, was the best cabaret the Editor has seen in US! The program is in Polish: the first part will be at a more serious note this time as it is homage to the late Pope John Paul II; the second part is a regular cabaret production. The cabaret troupe, writers and composers are all professionals from Poland. The cabaret enjoyed successful runs at Polish TV1 & TV2, at TV Polonia and at the Kwadrat Theatre in Warsaw. The Cabaret also gives a performance at the Polish Hall in Portland on Apr 30 at 7:30 pm. Ms. Krystyna Tokarska-Biernacik, the Consul General from the Polish Consulate General in Los Angeles, will be an honored guest at the Annual Sister City Reception at Seattle City Hall. The event hosted by Seattle Mayor Greg Nichols celebrates the sister city program and its volunteers. This year reception features Gdynia (Poland) as well as Nantes (France), Taejon (South Korea) and Tashkent (Uzbekistan), with ethnic food, exhibits and performances prepared by respective local communities; among the performers there is the Polish Choir Vivat Musica. Other attractions include a raffle and a silent auction. Please join Seattle-Gdynia Sister City Assn. President Glen Lee and SGSCA members at this great event. The children theater group Mlodzi Polanie from the Polish Home invites kids with their families for a Mother’s Day. The program will also have something for Dads and Grandparents. The restaurant at the Polish Home will be open before and after the event. Polish Film Festival moved from the familiar early November slot to April and back to the Seattle Art Museum with hope of surpassing the old glory. SPFF actually does look great this year! The films include the 2005 Oscar contender Welts (Pregi) and the renown Symmetry (Symetria) as well as another 2005 Oscar contender, a short The Fallen Art by Oscar nominated Tomek Baginski. The Festival has never had so many guests! The Opening Night Gala will be attended by directors Magdalena Piekorz, Artur Wiecek and Witold Beres as well as actors Krzysztof Globisz and Grzegorz Hajdarowicz, while the second weekend will bring directors Janusz Zaorski and Lech Majewski. 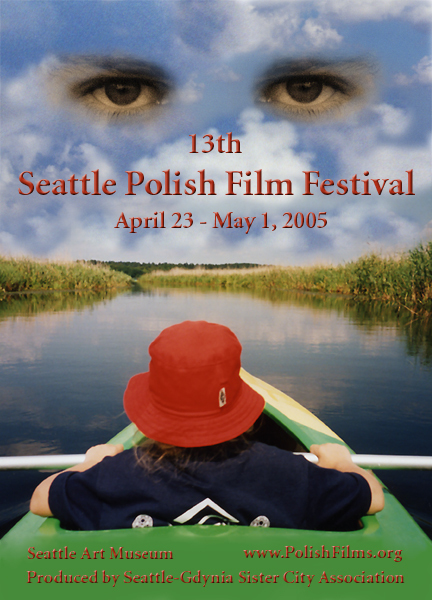 The 13th SPFF edition opens on April 23, 2005, with a screening of Angel in Love (Zakochany aniol), directed by Artur Wiecek whose Angel in Cracow was such a big hit at the 2002 SPFF. Produced by the Seattle-Gdynia Sister City Association. Where: Listen to the Radio at 1590 AM on Sundays at 6 pm from May 1, 2005, or at the internet any time. If you missed this excellent concert with Marzanna Bachowska (vocals) and Tomasz Aleksander (piano) in Seattle, this is your second chance. 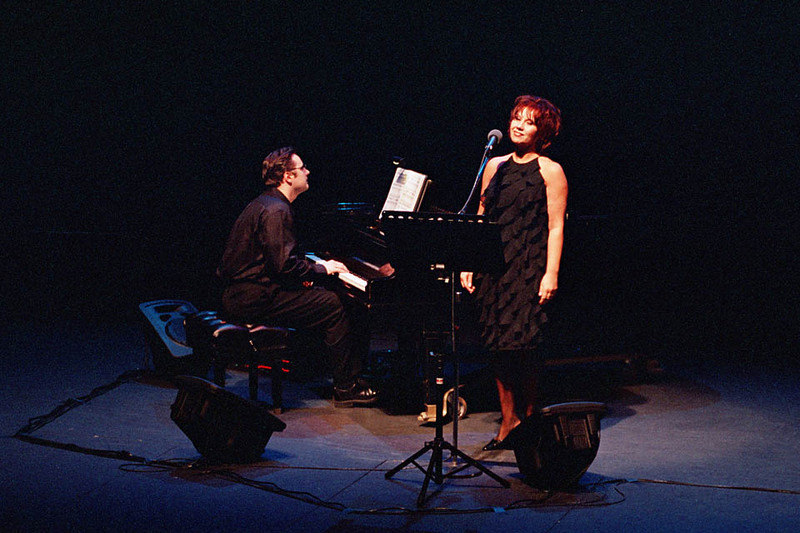 The two artists built upon the success of the Polna Rapsodia concert from 2003 to bring more songs based on Polish poetry and music by Mr. Aleksander. The program features songs to poems by Baczynski, Galczynski, Kofta, Konopnicka, Norwid, Osiecka, Pawlikowska-Jasnorzewska, Szymborska and ks. 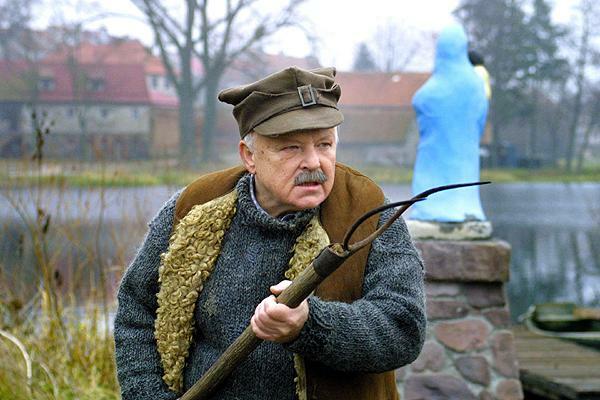 Twardowski. From hushed whispers to boldly dramatic climaxes, from elegant piano chords to virtuoso passages, this dynamic duo will take you on an unforgettable musical journey. Organized by Mr. Aleksander and the Parish. 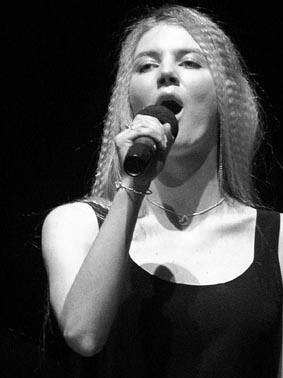 Karina Kalczynska is a young singer from Poland who competed at the Opole Festival in Poland. She will sing supported by a local band Jubilate Deo from the Polish Parish in Seattle, whose members include Kasia & Agata Wianecka and Olivia & Nicole Niesulowski. Organized by the Polish Parish and the Polish Home. Mr. Szpakiewicz is an outstanding young cellist from Poland who has several international awards to his credit, among them the 1996 Antonio Janigro Competition in Zabreb, Croatia, and the Tansman International Competition in Lodz, Poland. 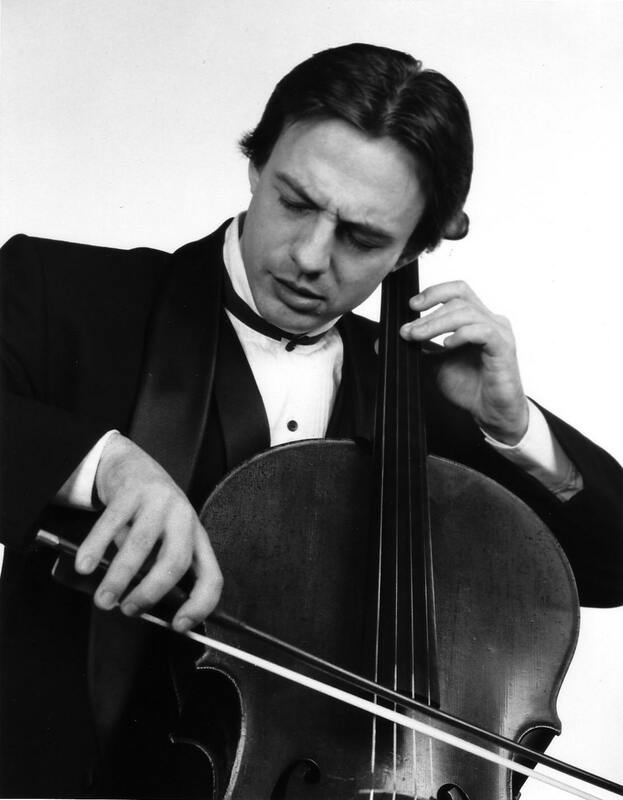 Most recently, he won the 2003 Mu Phi Epsilon cello competition, gaining instant recognition in the USA. 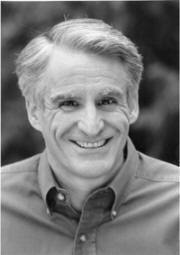 He also worked as the film orchestrator for Finding Neverland, the movie featuring the Oscar winning music by Jan A.P. Kaczmarek. The program includes works by Mendelssohn, Rachmaninov, Popper, Corigliano and Piazzola. Accompanied by Lyn Hoover. Poles were especially moved by passing of John Paul II last Saturday. The Polish language local radio station prepared a special edition devoted to the late Pope for its next broadcast on Sunday evening. The special will feature fragments of memorable homilies as well as interviews with people sharing memories of personal moments with the Holy Father. In Polish. Where: 1150 AM at 6 pm Sunday or listen through the internet at any time from a link at the Radio Wisla website. Craig Sheppard, the brilliant and accomplished Northwest pianist, is the star of the two-day Chopin Extravaganza organized by the Chopin Foundation and the Northwest Chamber Orchestra. He will perform the fantasia in F-minor as well as both Chopin concerti (no.2 and no.1) at each of the concerts with the Northwest Chamber Orchestra conducted by Joseph Silverstein. These early concerts revealed to the world the musical genius of the young composer. Marek Wencel is a local mountaineer with an impressive roster of summits behind him, including Shishapangma and Cho-Oyu (both 8000+ in Tibet), McKinley, Aconcagua (Argentina), Huascaran (Peru) as well as more difficult routes on Mr. Rainier and Mt. Baker. His slide show Above the Clouds to music by Bruno Coulais features Marek’s pictures and stories from Himalaya, Andes, Alaska and the Cascades. The event is a fundraiser for the South End Saints Cross Country / Track & Field team where Marek is a coach. The UW Polish Studies Endowment Committee invites to an auction benefiting the Polish Studies Endowment Fund at the University of Washington. The UW Polish Studies Endowment Committee invites to an auction benefiting the Polish Studies Endowment Fund at the University of Washington. This great event starts from 5 pm with a silent auction and a complimentary wine, later followed by a dinner, live auction with auctioneer Patrick O’Brian and entertainment by the Polish Choir Vivat Musica. There will be plenty of Polish food to enjoy and interesting items to bid. Where: at the Polish Home; tickets $50 per person, cocktail attire suggested, for reservations contact Marta Golubiec, reservation deadline is April 1, 2005. Kate Pawluskiewicz, a local painter and sculptor as well as installation artist, graduated from the Cornish College of Arts. She presents her recent female figurative paintings that focus on mood and fleeting change. A picture album with photos of her other works such as a Greek mythology mural at Costa’s Opa Restaurant in Fremont and a booklet entitled A Way To Happiness will also be on display. The exhibition, organized by the Gallery and the Artist will be available from April 7 till May 2, 2005. The Seattle Central Library invites to a new festival called Rites of Spring. This is a joyful musical celebration of the new season with dances and music from around the Baltic Sea. The program features local Scandinavian, Estonian, Latvian and Lithuanian dance bands as well as the Polish Choir from Seattle, Vivat Musica. Lynne Olson and Stanely Cloud, the authors of A Question of Honor, The Kosciuszko Squadron: Forgotten Heroes of World War II, are coming to Seattle on April 1, 2005, as guest speakers invited by the UW Polish Studies endowment committee. The book tells the story of the Polish fighter pilots who helped to save England in the 1940 Battle of Britain and their betrayal by the Allies when the WWII ended. An exhibition Polish Wings in WWII prepared by K. Poraj-Kuczewski will be available at the lecture. To buy this excellent book please use a link at our website (buying through that link helps Polish Home Foundation). 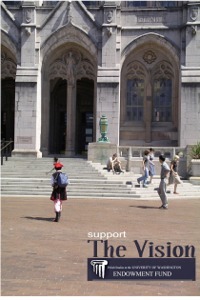 Where: Walker Ames room, Kane Hall, at the UW Campus in Seattle, admission free. There is a reception after the lecture as usual. Andrzej Kozyra is a contemporary Polish artist known for peculiar cityscapes. 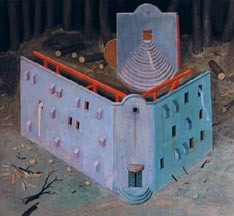 An exhibition of his paintings will run at the Friedrich Gallery till May 15. The exhibition is organized by the Society for Arts in Seattle and the Friedrich Gallery.